Fashion Marketing and Branding is a course that has provided me with much insight into the industry and provides many opportunities such as live projects to gain more experience. “In Year Two, there was a live project with Boots and we were allocated teams to work on the brief. The brief included new product development and we brainstormed ideas to create a new make-up product! Has the course included any industry competitions, and what did you enjoy about it? “Graduate Fashion Week (GFW) in London was an incredible experience that opened my eyes to the real world relevance of my course. It was an amazing event that educated me and also reminded me of the abundance of creative talent in the UK. What do you think about the staff? “I think that the most interesting part about living in Nottingham is experiencing the British Culture. Before coming to the UK, I only knew of Britain in the way that movies and books portrayed it to be. Even though I heard about people travelling to the UK beforehand, living in the UK is extremely different compared to the ‘tourist’ experience. “Living on my own definitely taught me multiple things that I would probably wouldn’t have learnt had I chosen to stay in Singapore and I think that collectively – the experiences that I have accumulated here has matured and humbled me in many ways on an individual basis. 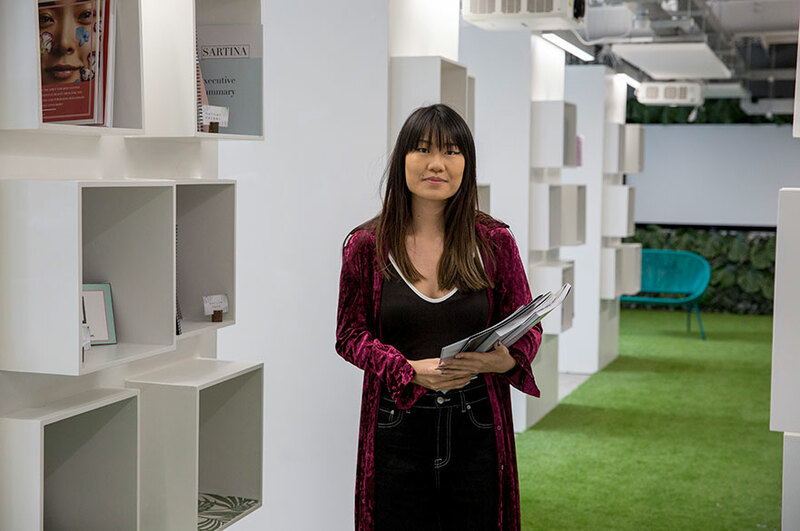 In a nutshell, why would you recommend your course / NTU to someone looking to study BA (Hons) Fashion Marketing and Branding?